Lew Wolff leads group that purchases Sainte Claire hotel. The Sainte Claire is not far from where the A's want to build a stadium in San Jose. The San Francisco Giants can fight it all they want but the A's keep acting like they are moving to San Jose. Just one day after trading another All-Star away for prospects, the Oakland A's ownership group took another step to strengthening its South Bay roots. 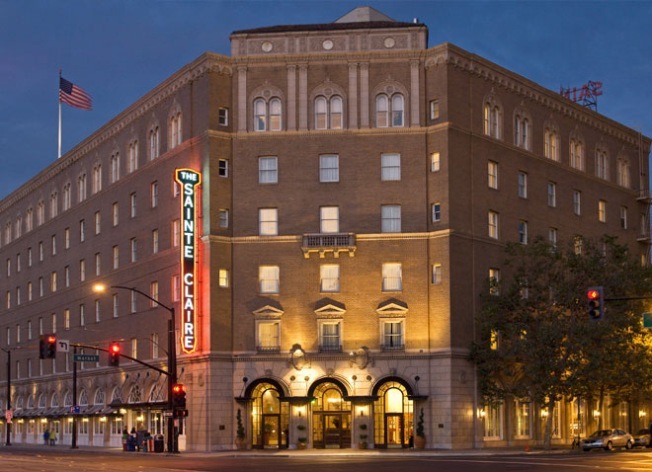 A's owner Lew Wolff is leading an investment group that is purchasing the Sainte Claire hotel in downtown San Jose. The luxurious 171-room hotel is just down the street from another Wolff owned hotel, the Fairmount, and not far from the proposed sit of a new stadium for the A's. The A's of course are not allowed to comment on a potential move to San Jose and Wolff has been diplomatic about a possible move down the 880. "Cities like San Jose and Oakland are in the path of growth," Wolff told The San Jose Mercury News. "San Jose has a fairly strong downtown." The hotel was purchased for between $17 and $18 million.